Communities are proud when they see one of their own follow their dreams and make them come true and Pikeville is one proud community indeed. Pikeville has rallied around the Shurtleff family for years as they have been pillars of the community for generations. Today, one of the Shurtleff family members is being announced as a doctor in his hometown. 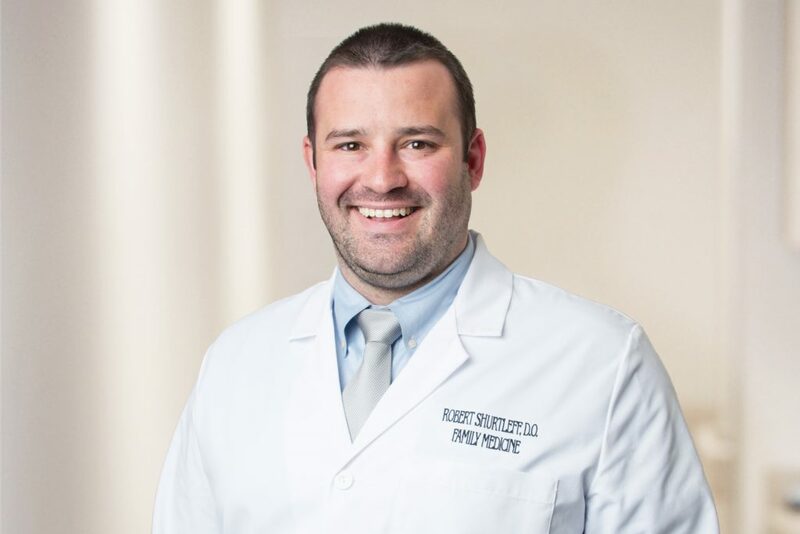 Pikeville Medical Center (PMC) Family Medicine Physician, Robert Shurtleff, DO was born and raised in Pikeville. He graduated from Pikeville High School, the University of Pikeville (UPIKE) and Kentucky College of Osteopathic Medicine (KCOM). He is board certified in Family Medicine through the American Board of Osteopathic Family Physicians (AOBFP) and will be treating patients throughout life stages from pediatrics to geriatrics. Dr. Shurtleff completed his Family Practice Residency at PMC. He says medicine is all about helping people. “If you really want to help people, you have to get to know them on a more personal level and there is no specialty that does that better than Family Medicine,” said Dr. Shurtleff. He says he has been blessed to have worked with many excellent physicians from all specialties and backgrounds throughout his training, and most of them were at PMC. When his patients come to the clinic to see Dr. Shurtleff he hopes they will feel comfortable and confident. He also wants them to feel like they are coming to see an old friend. “I was born and raised in Pikeville. PMC is a huge part of this community. There was no better place to work than PMC, if I wanted the best opportunity to help better the community.” Said Dr. Shurtleff. He enjoys being the husband of Brooke Shurtleff and dad to three year old Luke and 15 month old Molly. In his spare time, he bleeds blue. Dr. Shurtleff is a big University of Kentucky football and basketball fan. Do not be surprised if you see him on the green because golf grabs some of his time as well. Dr. Shurtleff joins the PMC Family Practice Clinic at 184 South Mayo Trail in Pikeville. For additional information or to schedule an appointment with Dr. Robert Shurtleff, call 606-218-4800.